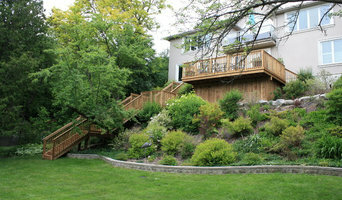 We are a custom Fence and Deck company serving the GTA for over 35 years. Our company is not your average deck builder, we specialize in multi-level custom decks designed for every clients individual needs and tastes. We hope to inform you as a consumer and help to guide you through your outdoor projects. IT Innovation for the future. The Arts Music Store has been a mainstay for musicians in Newmarket Ontario since 1983. With over 1000 guitars in stock, we're a force to be reckoned with! For over 15 years, Buffalo Blacktop & More, Inc. has been serving the greater Buffalo, NY area with a full slate of services sure to enhance the curb appeal of any property. We are known for the outstanding results we leave our customers with when it comes to blacktop/asphalt, paving contracting, and concrete contracting work. The harsh winters alone can do a great deal of damage, forming holes, cracks, and more in our driveways and commercial parking lots. Don’t let your property take a turn for the worst when you’ve got us! When you need a paving or concrete contractor, enlist the help of our fully licensed and insured team. We have the experience you need to make your blacktop or concrete aesthetically pleasing year after year. Rosen Fromstein LLP has specialties in commercial litigation, real estate litigation, employment litigation, construction litigation, estate litigation, franchise litigation, bankruptcy &amp;amp; insolvency, professional negligence litigation. 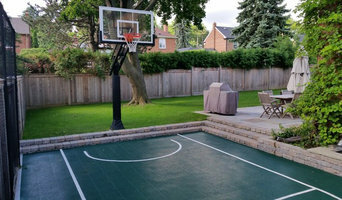 Backyard court builders also keep tabs on the latest in athletics technology to provide you with the most updated options possible for your Oakville, ON court. With your input, they’ll design a space that’s customized for your wish list and your home, then handle the construction. When the inevitable wear and tear starts to show, your Ontario backyard court builder can repair, resurface or replace the aging elements. To ensure consistent quality and style, your backyard court contractor might also work closely with an Oakville, ON general contractor, remodeling contractor or landscape professional. Here are some related professionals and vendors to complement the work of backyard courts: Outdoor Play Systems, Landscape Contractors, General Contractors. Narrow your search in the Professionals section of the website to Oakville, ON backyard courts. You can also look through photos to find examples of Oakville, ON courts that you like, then contact the contractor who worked on them.